After the first prediction of the gravitational wave by Albert Einstein in 1916 based on his theory of general relativity, there has been some confusion regarding its physical reality for several decades. The hunt for the gravitational waves started in late 1950s after the clear understanding of the effects of them on space and matter. Laser interferometer was contemplated, proposed, and constructed by a number of people including the 2017 Nobel Laureates in Physics. It took almost half a century from the initial thought to the real detection by Laser Interferometer Gravitational-wave Observatory (LIGO). Even with a small number of gravitational wave events that have been observed so far since the first observing run of the advanced LIGO in September 2015, we already learned a great deal about the black holes and neutron stars. We are now at the dawn of the gravitational wave astrophysics era. 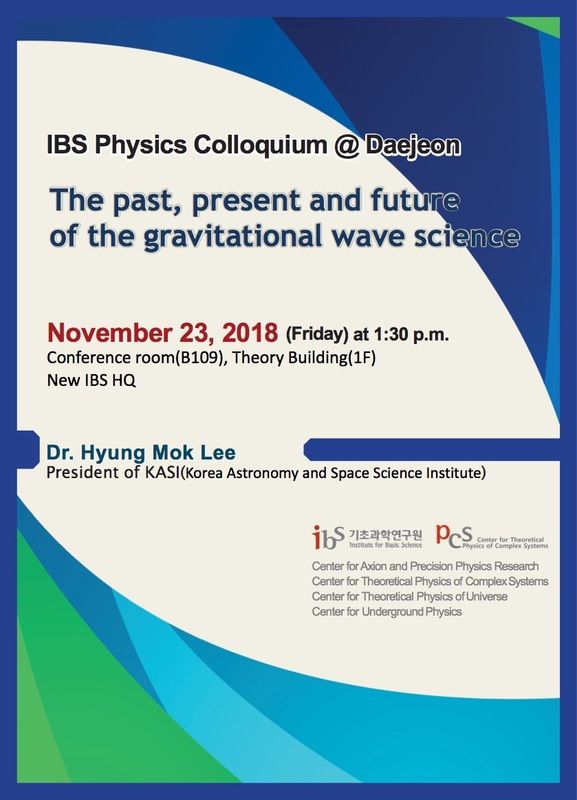 In this talk, I would like to present glimpses of the long and difficult pathways toward the detection of the gravitational waves and future prospects.